Who the heck is DST and why should I hear what you have to say about Prothane vs Whiteline anyway? Diverse Suspension Technologies has been selling Prothane brand parts for over a decade and has been selling the Whiteline brand parts since the moment they hit the shores of the USA many years ago. DST doesn’t just sell these brands, we stock them in our own warehouse in Stephenville, TX. In fact, DST stocks and sells suspension parts from every major polyurethane manufacturer in the USA and abroad, giving us unique insight into the differences between each of these manufacturers. No other warehouse in the world stocks all of these brands together. Because we have a vested interest in both of these brands, we’re not going to blindly recommend “just the one brand we keep on our shelves”. Instead we’re going to breakdown these two brands into their core components and let you make that recommendation for yourself. When I buy a product I’m usually most interested in the design differences that set the product apart from whatever else is available. Sometimes those differences aren’t incredibly apparent until you’re holding the product in your hands. Other times reading through customer reviews of a product can also help illuminate those differences. Because we at DST have a fairly extensive amount of experience with both the Whiteline and the Prothane brand, we know some of these product quirks and technological differences very well. While not all of the factors I’m mentioning here are in every single one of the products these manufacturers make, they are core differences in how the brand builds their products. Instead of a fluid lubricant, the bushing is created with a PTFE liner that is bonded to the inner diameter of the bushing. Zerk grease fittings have existed for longer than most of you have been alive. For nearly a century people have used zerk grease fittings to refresh the lubrication in a part and flush out contaminants that creep in over time. Automotive parts specifically benefit from this because of the harsh and dirty environments that are standard for a car or truck. The best place to see how these 2 brands approach this problem is in a simple sway bar bushing where the bushing contacts the sway bar. Just about every vehicle on the road today has sway bar bushings, so chances are that this affects you as a customer of either brand. 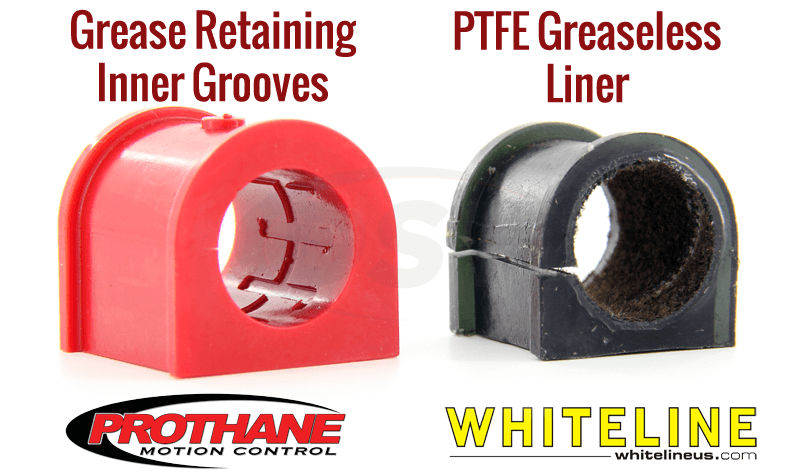 Prothane has taken care to design their bushings to retain grease that is applied at the time of installation. By design many of their parts are not “Greaseable”. In other words, you couldn’t reapply lubrication without disassembly of the part. Instead Prothane uses a fine grooved splining down the inner diameter of their sway bar bushings. Not all sway bar bushings receive the same punishment though, so for sway bar bushing applications that are more likely to fall prey to fouling, Prothane uses that 85 year old “Zerk Grease Fitting” technology. It’s tried and true and is used in far harsher industries than simply automotive parts. Instead of splining, Whiteline uses a “Knurling” down the inner diameter. Whiteline has taken a slightly different approach. Similar to Prothane, Whiteline has designed many of their parts in a way that is intended to retain the lubrication that is applied at the moment a part is installed. Those bushings are Non-Greaseable by design. Instead of splining, Whiteline uses a “Knurling” down the inner diameter. If you’re not familiar with “Knurling”, think of the texture of a Mag-Light flashlight handle, only inside out. Again, some sway bar bushings are subjected to harsher conditions where lubricating a bushing once over it’s lifetime simply isn’t enough. Instead of applying zerk grease fittings, Whiteline has designed an entirely new technology that until recently hasn’t been seen in the world of suspension bushings. I’m referring to Whiteline’s “Greaseless” technology. Their greaseless technology while relatively new has received a fair amount of testing over the past few years and gotten it to a point where Whiteline feels confident enough to offer their lifetime warranty on their bushings that utilize this technology. Instead of a fluid lubricant, the bushing is created with a PTFE liner that is bonded to the inner diameter of the bushing. Before you run off to Google to figure out what a PTFE liner is, PTFE is basically what Dupont makes Teflon from. You know that stuff that’s keeping your fried egg from sticking to your pan? That’s the same stuff Whiteline applied to their bushings. With a PTFE liner you simply install it and forget it … unless there are contaminants that creep in between the bushings and the sway bar. So if you’re on the fence between Zerk Grease Fittings VS. PTFE lined bushings, here’s the biggest thing you might want to consider. A zerk grease fitting is designed to not just refresh the lubricant, but to flush out contaminants. If you have a zerk grease fitting, it’s as easy as sticking a grease gun on the fitting, pumping the gun a couple times and walking away from it. That said, the fitting is there for a reason. You will likely NEED to lubricate that bushing again at some point after installing it. With a PTFE liner you simply install it and forget it … unless there are contaminants that creep in between the bushings and the sway bar. Now without a tacky grease in there to help attract and retain that dirt, a PTFE lined bushing is far less likely to suffer from contamination. Still, the fact remains that if you wanted to flush out contaminants on a PTFE lined bushing you would actually have to take if off in order to do that. Let your approach to vehicle maintenance be your guide here. If you’re the kind of guy who changes his oil every 3000 miles, you would probably do well with parts that have a zerk grease fitting. If you don’t know when the last time it was that you changed your oil – stop reading and go change your oil – then seriously consider a PTFE lined bushing that you wont likely have to maintain. Here’s the short version of this. Mechanically bonded bushings are oversized for their housings so that when they’re installed (think squished in really tightly) they have a mechanical bond of friction. Chemically bonded bushings instead are permanently bonded to their outer metal shells when the bushing is created. There are upsides and downsides to both methods. A mechanically bonded bushing is by nature cheaper because you will reuse your old outer metal shell. Less material in the new part translates to a cheaper replacement. Mechanically Bonded Bushings – a cheaper, DIY friendly option. 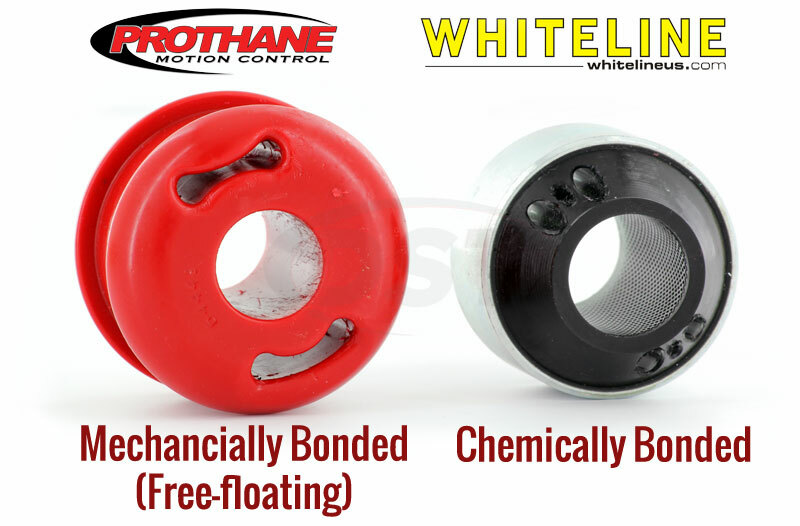 Both Prothane and Whiteline make bushings that are designed to be mechanically bonded. A mechanically bonded bushing is by nature cheaper because you will reuse your old outer metal shell. Less material in the new part translates to a cheaper replacement. Additionally a mechanically bonded bushing can typically be installed using common hand tools instead of needing a hydraulic press. With a replacement mechanically bonded bushing you can simply burn out the old rubber, wire brush it clean, lube up the old housing, and press in the new bushings by hand. Chemically Bonded Bushings – an OE style approach to bushing design. Whiteline is the only manufacturer that currently uses techniques that allow them to chemically bond a bushing. A chemically bonded bushing is a bushing that is permanently attached to the shell that it is created in. The bushing isn’t just glued to the inside of the outer metal shell, it’s bonded. Because a chemically bonded bushing must be supplied inside a new metal shell, it’s by nature a little more expensive. Those bushings also require a hydraulic press at installation so unless you’re the Incredible Hulk, you aren’t going to be able to squeeze the new bushing in by hand. The critical difference. A mechanically bonded bushing isn’t permanently secured to the metal shell it is placed into. That means that it can move, or twist in there. That movement is what would cause squeaking if the bushings weren’t properly lubricated. In contrast a chemically bonded bushing couldn’t spin in there. There isn’t even the opportunity for squeaking. If you’re given the choice between these two types of bushings in your application, ask yourself who is going to be doing the installation? If it’s a shop, they’re almost certainly going to have a hydraulic press and the ability to work with a chemically bonded bushing (Whiteline). In fact, a shop will likely prefer a bushing that includes a new outer metal shell over one that doesn’t. If you’re the guy turning the wrench and you don’t have a hydraulic press sitting in your garage, then seriously consider a mechanically bonded bushing (Whiteline and Prothane). So you’re replacing a bushing that’s under the car. You fully understand that 99.9% of the people you pass on the highway will never be able to see these parts and know how cool you are. Still, what could possibly be more important than color?! Seriously though, there is actually a real reason to consider one color over another so it is worth a quick stop to talk about color. At this point in time Prothane makes all of their parts in either Black or Red. Until recently many Whiteline parts were made in Black or Yellow. However in 2014 Whiteline instituted their “Fade to Black” program whereby they started to systematically phase out all yellow bushings. At this point in time nearly all Whiteline bushings are black, so we’ll just operate from the perspective that Whiteline only provides Black colored bushings. …in 2014 Whiteline instituted their “Fade to Black” program whereby they started to systematically phase out all yellow bushings. So What’s the Difference in Color? There is a common misconception that there is a performance difference between the Red and Black bushings that Prothane makes. That is in fact incorrect. In the Prothane brand the durometer of the bushings and the design of the bushings are identical from Red to Black. The only difference is literally color. So why do some folks think that Red is a higher performance bushing? The answer is actually much more simple than you might have realized. Many racing professionals prefer a Red colored part because it’s easier to see imperfections or damage in a Red bushing. It’s simply a matter of color contrast. Often times grease or grit will catch in a bushing where it tears or is imperfect, and by nature grease and grit are darkly colored. If the bushing is black, you cannot see that grease or grit in a tear or imperfection as easily. Your eyes simply don’t perceive enough contrast in order to easily identify that. In a red part however, a tear or an imperfection will be much easier to see. Dark black grease in a Red bushing is a night and day difference in color. For this reason, many race professionals will lean towards a red bushing over a black bushing. It’s far easier to stick a car on a lift and find any potential issues on the race car when the bushings are red. That doesn’t mean there is any functional difference between the 2 colors. Lets finally lay that misconception to rest. If you’re a race professional who’s going to wreck your bushings on an offroad rally, then you might seriously consider a Red bushing. Or if you cant stand the fact that when your car club buddies slide up under your car they wont be able to tell the difference between your black aftermarket bushings vs your old black rubber bushings, then again maybe Prothane’s Red is the color for you. For everyone else, either Prothane’s or Whiteline’s Black bushings will maintain a clean stock appearance that will achieve more precise handling and last the life of your vehicle. 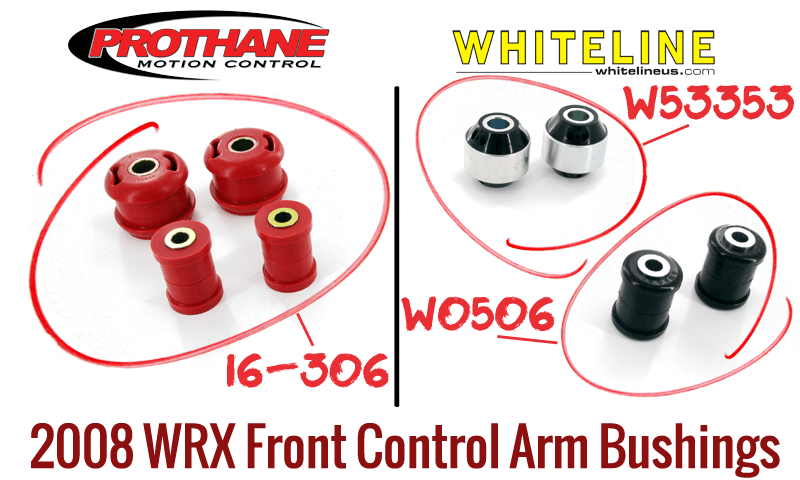 You’ll have to purchase more than one kit from Whiteline in order to replace all the bushings in your control arms as opposed to the Prothane kit that covers everything in one kit. 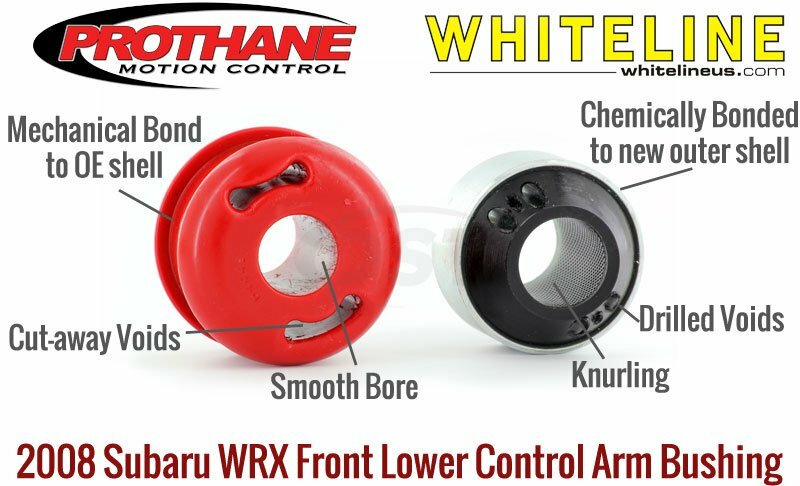 You’ll have to purchase more than one kit from Whiteline in order to replace all the bushings in your control arms as opposed to the Prothane kit that covers everything in one kit. So what’s the deal here? Why would Whiteline make customers purchase several kits when Prothane offers everything in one package? The answer is actually fairly simple, but not something you would be able to determine without going to the source and asking Whiteline directly. Ed Winfield at Whiteline in Australia explained it very well. Say you’re working on your 2009 WRX and you realize that one of the front control arm bushings is failing. You naturally head straight to an auto parts store in Australia to buy a replacement for that one bushing. Surprisingly though, the folks at the parts desk would likely sell you a Whiteline part to replace your OE bushing! You see, in Australia, Whiteline isn’t just considered a performance suspension parts brand. In Australia, Whiteline is the go-to for replacement of OE suspension parts as well. In order to fill that market, Whiteline needs to be able to sell only the bushing that customer needs. A shop doesn’t want to purchase extra parts that they dont need for a customer’s car, and the customer probably doesn’t want to foot the bill to install those unnecessary parts either. For this reason, Whiteline’s catalog is centered around that customer base. Prothane has taken the opposite approach. Prothane knows that a customer will receive the best improvement in handling if they replace not just one bushing in their control arms, but all of them at the same time. Whiteline would probably argue the exact same thing, but unlike Whiteline – Prothane doesn’t need to cater to that OE replacement sector. For this reason you will likely only find a single complete kit from Prothane, and multiple partial kits from Whiteline. At DST we can see that the difference here really boils down to a matter of convenience for a customer. A Prothane customer can typically purchase one kit and rest assured that they’re getting everything they need to replace all of their bushings. However, Whiteline customers must do some research to make sure they’re purchasing everything they wanted. Instead of just pulling the trigger on one kit, you have to head outside, slide up under your vehicle, determine which points even exist in your control arms (lower inner rear, lower inner front, lower outer, upper inner rear, upper inner front, upper outer, blah! ), and then review the Whiteline catalog to make certain that the kits you need even exist …. it’s honestly an inconvenience for the average customer. If you’re leaning towards the Whiteline brand, give the DST tech folks a call and they’ll walk you through the kits that Whiteline makes for your vehicle. We can pull up diagrams of the suspension and essentially do that homework for you while you sit comfortably at the breakfast table eating a bowl of Wheaties. Alternately, you can just call us and purchase the Prothane kit as well and you’ll still have half the bowl of Wheaties left by the time we have processed and shipped out your order. As Americans, we’re proud of any product that bears a “Made in the USA” stamp. Over the years we have been taught to think of anything that isn’t “Made in the USA” as an inferior product that won’t last as long or won’t work as well. More often than not, this is in comparison to “Some cheap Chinese …. well … you name it.” Be honest, you’ve heard that mantra over and over again. Because Prothane is one of those “Made in the USA” brands and Whiteline isn’t, this topic is worth addressing head on. How does the manufacturing location affect you as a customer and how does it affect the quality of the part? Prothane brand parts are made right here in the USA in Ontario, California. …On the other hand, Whiteline bushings are currently manufactured in Vietnam. Prothane brand parts are made right here in the USA in Ontario, California. No, that’s not Ontario Canada. Prothane sources their raw materials for their local manufacturing shop and makes each bushing by hand. CNC lathes churn away 24/7 cutting out quality steel pieces which are then zinc plated by a zinc plating expert in the USA before being returned to Prothane to be boxed up and shipped out you as a customer. Everything is done here in the States with materials that Prothane choice picks. On the other hand, Whiteline bushings are currently manufactured in Vietnam. If you’re like me the mention of an Asian country immediately stirs up the ingrained “Made in China” response, but the fact is that Whiteline is joined in Vietnam by many other well respected global brands like Bosch and Olympus who are attracted to the country’s stable government and lower cost of living which of course results in a less expensive labor force. However, Whiteline parts weren’t always made in Vietnam. 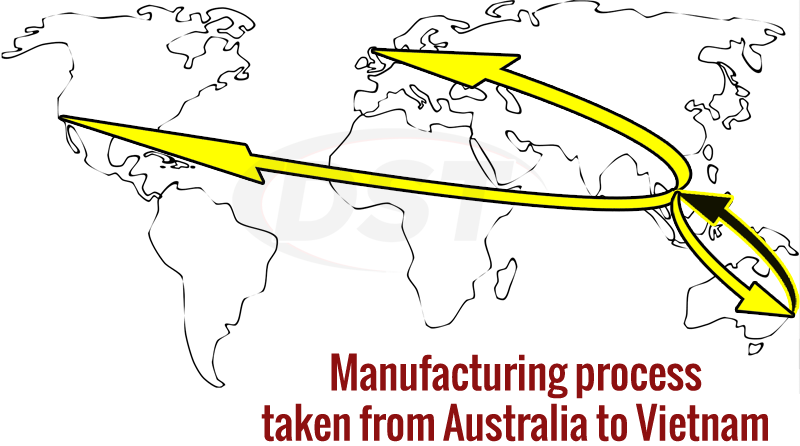 Whiteline’s roots are actually in Australia where manufacturing was done before it was moved overseas into Vietnam. To this day Whiteline still carefully controls the raw materials that their products are made with by importing everything into Vietnam and simply using Vietnam’s labor force to produce their products. The manufacturing plant in Vietnam uses the same processes and materials that Whiteline perfected in Australia and all production is overseen by at least two western experts who are in the factories at all times. So Whiteline is made in Vietnam and Prothane is made in the USA. If both of these brands are carefully maintaining their raw materials and the actual technology and methodology of creating the product, then the only real difference is in the color of the person’s hands who made the part you’re installing on your vehicle. Prothane and Whiteline differ significantly in what vehicles they produce parts for. Prothane was founded in the United States decades ago and to this day only produces parts for vehicles that you would find in the United States. 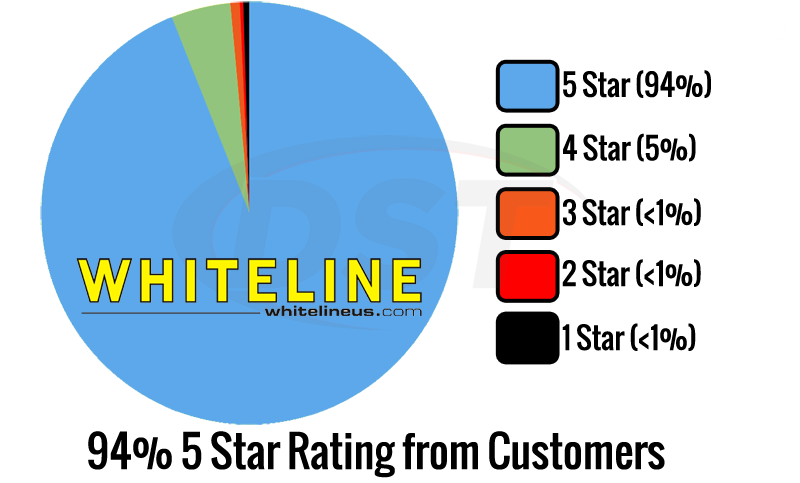 Whiteline on the other hand maintains offices and distribution in Australia, the UK, and the United States. They make parts for vehicles that we as Americans have never even seen in person because they were never sold in the United States. (Whiteline makes) … parts for vehicles that we as Americans have never even seen in person because they were never sold in the United States. Prothane parts are all made and designed in the United States with fitment that was done only on vehicles that were sourced from the United States. Whiteline, who only a few years ago came to the United States, is facing the daunting task of making certain that parts that were originally tested on vehicles in Australia will still work on your car here in the United States. This is further complicated by the fact that in North America vehicles are almost always simply referenced by Year / Make / Model. This isn’t so in other countries. In other markets vehicles are instead referenced by Chassis codes. Chances are you’re not terribly familiar with chassis codes. In fact, I would be very surprised if you knew for certain the chassis code of the car that is sitting in your driveway as you read this article. It just isn’t something that the American market knows or really even needs to know. That created a massive problem for Whiteline whose entire catalog has historically been based on chassis codes. So Whiteline has installed an R&D shop that they maintain on American soil in order to combat this. Vehicles are pulled off of the streets you drive on and test fitted with the same parts you’re looking at for your car. While this Chassis code VS Year / Make / Model issue was initially a large issue for Whiteline, they have at this point been able to sort out most of the differences between USDM vehicles vs. vehicles made for other markets. At DST we still occasionally have a customer who has a fitment issue, but Whiteline has always been extremely aggressive in correcting these problems for customers and has maintained a good reputation in the USA by doing so. Does it make a difference for you as a customer if the part wasn’t originally engineered for your USDM vehicle? Ultimately if the parts both fit and work, then that’s really the only question you need to ask yourself. For some customers that introduces just enough doubt to stick with a US based manufacturer. For other customers it simply isn’t a consideration at all. So you’re a huge fan of the Whiteline or Prothane brand and consequently you’ve put 18 stickers of their brand all over your vehicle. The first question is whether or not that made your car any faster. (spoiler: No, it didn’t.) Ok, so how about this: Can you also put that many Whiteline or Prothane parts on your vehicle as well? If you’re a fan of Whiteline, there’s actually a fairly good chance. If you’re a fan of Prothane, well their product offering is a little bit more concentrated. Lets use the 2009 WRX example again. At the time of this writing there are 8 different Prothane part numbers available for your 2009 WRX. Contrast that with 43 available SKUs from Whiteline. You’re probably scratching your head right about now. While Prothane primarily manufactures bushings, Whiteline offers bushings, sway bars, strut bars, frame braces, steering parts … it’s a fairly comprehensive offering. Ultimately what really matters here is whether or not you care if all the parts on your vehicle are made by the same brand. Lets face it, a sway bar can dramatically improve the cornering ability of a vehicle – but you can’t buy a Prothane Sway Bar. If you’re OK mixing and matching parts, take a look at what Prothane makes for your vehicle. If you’re OCD and will have a conniption if there’s a break from uniformity, you might be a Whiteline customer. 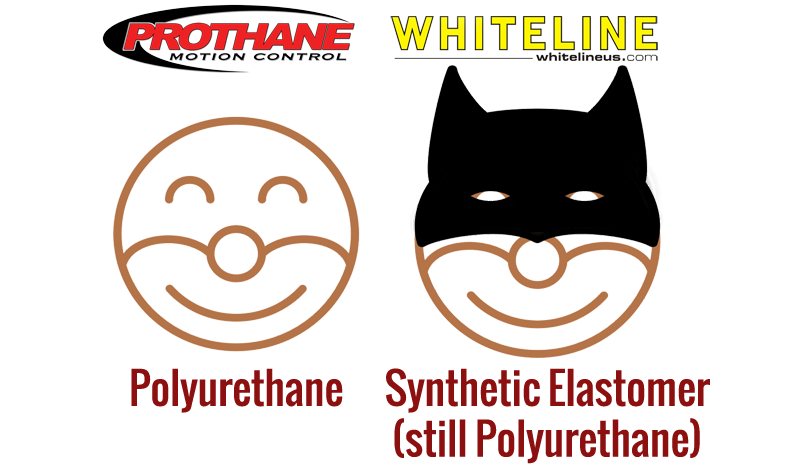 Whiteline advertises their parts as “Synthetic Elastomer” and Prothane markets theirs as “Polyurethane”. For the average Joe, this might be a little confusing. 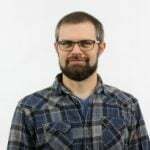 While you’re likely all familiar with Polyurethane … you can’t even Google “Synthetic Elastomer” and come up with a clear understanding of what it is. Let me help you out. Whiteline’s “Synthetic Elastomer” is Polyurethane. 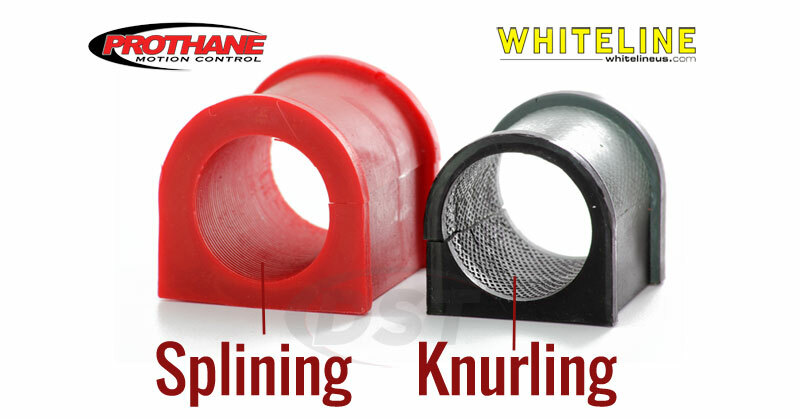 Both Whiteline and Prothane make Polyurethane parts. So why the obfuscation by Whiteline? The answer is fairly simple and it is worth a quick explanation. Whiteline’s “Synthetic Elastomer” is Polyurethane. There are many different grades of polyurethane and the characteristics of the polyurethane can be massively tweaked by how it is formulated. The idea here is that not all polyurethanes are created equal. Decades ago polyurethane got a bad rap from users because it was highly prone to squeaking. What has changed? Well, when polyurethane was introduced into the market of automotive bushings, there were some folks who were using cheaper polyurethane that wasn’t formulated well. That resulted in a harsh ride (think wrong durometer), a noisy ride (think cheap, crummy polyurethane), and a general distrust of polyurethane in the market. Whiteline is hoping to sidestep that decades old mistrust that was unfortunately created before the process of creating polyurethane bushings for cars was really perfected. 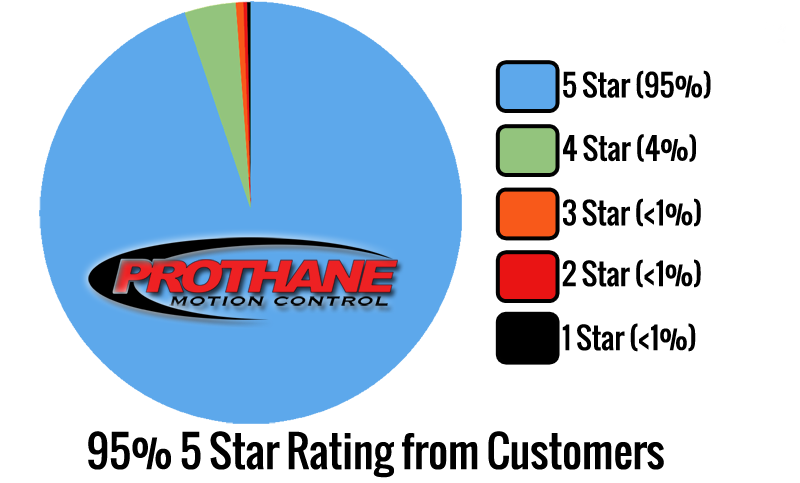 That isn’t to say that Prothane’s polyurethane is any better or worse than Whiteline’s polyurethane. Both brands have been working with polyurethane for decades and at this point the cheap garbage brands have been filtered out by a discerning customer base. Today we’re left with brands that know what they’re doing and produce quality parts. Neither product should have a problem with a harsh ride or with squeaking if they were properly lubricated when installed. The days of those problems are long behind us. The test and measure of the quality of one polyurethane over the other is way outside the scope of this article. Instead I simply mention this to clear up a misunderstanding and question that almost always surfaces when discussing the two brands. If you’ve ever heard the term “Polygraphite” I can almost guarantee that it was in reference to suspension bushings. Decades ago when manufacturers were still struggling with the perception that polyurethane bushings were prone to squeaking, polyurethane that was infused with graphite was introduced. The logic was simple, the graphite has an inherent lubricating property that should help reduce or eliminate any possibility of squeaking. To this day Prothane still has some graphite in their bushings. However, you won’t find that fact advertised anywhere. That’s probably because Prothane clearly understands that the well intended logic of graphite reducing squeaking is in fact flawed. You see, ANY polyurethane that isn’t correctly lubricated when installed will almost certainly have a squeaking issue. Graphite isn’t going to change that fact. Instead, Prothane and other manufacturers have created incredibly good lubricants that they provide with any of their parts that will require lubrication. Instead of putting a Graphite band-aid on a problem and hoping it will all work out fine, these manufacturers have attacked it head on with quality lubricant and customer education. While a couple of the manufacturers in the United States hopped on the “graphite infused polyurethane train”, Whiteline has never used any graphite in any of their bushings. While a couple of the manufacturers in the United States hopped on the “graphite infused polyurethane train”, Whiteline has never used any graphite in any of their bushings. In our professional opinion, that isn’t necessarily a bad thing. That still leaves the customer with a choice though. If the thought of graphite just gives you warm fuzzies, then you probably want to snuggle up to a Prothane part. Keep in mind though that not even Prothane feels like it’s worth mentioning in their product marketing. That said, if you don’t really care about Graphite, then you can rely on the quality lubricants that both Prothane and Whiteline include with their products. We’ve looked at just about every conceivable difference between Whiteline and Prothane parts themselves. Now lets literally look outside the box. What aspects between these 2 manufacturers affect you as a customer but aren’t necessarily reflected in the product itself? Both Whiteline and Prothane maintain a staff in the United States that is available to help you as a customer. You can pick up a phone and get ahold of a tech easily to get help with just about any question you might have about either brand’s parts. The difference however can be seen in their distribution. Either brand provides you with access to knowledgeable answers to questions you might have after you’ve purchased one of their parts – the difference is really just in who you speak to to receive those answers. Prothane is careful to only do business with folks that have the technical expertise to support the majority of a customer’s needs and questions. It’s Prothane’s desire to have their network of dealers capable of handling the lion’s share of the tech support. By design, the staff they maintain at their offices for handling customer tech questions is smaller. In fact, it works so well working with a choice selection of dealers that Prothane is able to operate with a 4 day work week of Monday-Thursday. Whiteline’s distribution is a little less precise than that. I’m certain it’s Whiteline’s desire for every single dealer of their products to have the knowledge necessary to back the part they sold you in the first place. Unfortunately that isn’t how it always plays out. Instead Whiteline maintains a slightly larger staff of experts in their USA offices to answer customer’s questions and problems. 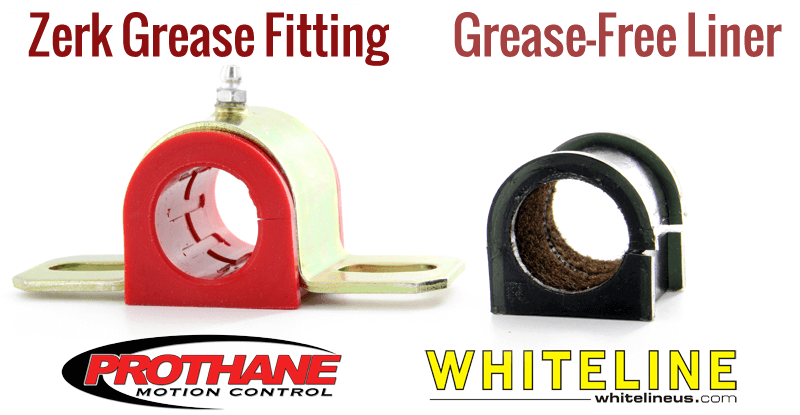 Both Prothane and Whiteline have a lifetime warranty on their bushings. 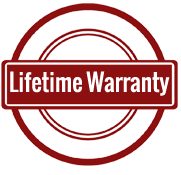 It is our experience that even with a lifetime warranty, we see very few customers of either brand that ever need to take advantage of it. They’re both great parts that are made of great material that works exceedingly well as a suspension bushing. I have to be honest, this isn’t something we can specifically speak to. We don’t sit in the office of either brand day to day and see who they talk to and what they talk about. Instead we thought we would just offer up some facts that are freely available to you as a customer in terms of how these brands interact with their customers on the internet. Whiteline appears on the outside to have a much more sensitive finger on the pulse of their customer base through their use of social media. Prothane may have a similarly close relationship with their customer base, but it isn’t readily apparent in a way we can measure and illustrate for you. Whiteline appears on the outside to have a much more sensitive finger on the pulse of their customer base through their use of social media. I explained at the beginning of this article that it isn’t our intention or desire to tell you as a customer that either brand is better than the other. 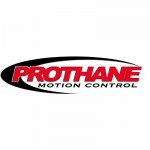 Both Prothane and Whiteline sell high quality parts that they back with a lifetime warranty. Both brands have been around for decades and they both have a fanatically loyal customer base. If we as a dealer didn’t believe in both of them, we wouldn’t put our money where our mouths are by maintaining a massive stock of their inventories on our shelves. For the sake of the purely data minded folks, here’s a breakdown of ALL of the reviews of every Whiteline and Prothane part. 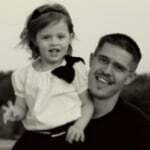 At the time of writing, Whiteline products have a 94% 5 Star rating in the DST database. Prothane products are almost identically reviewed with a 95% 5 Star rating in the DST database. The question of Whiteline’s Parts vs. Prothane’s Parts simply cannot be answered perfectly without taking into consideration the 2 specific parts you’re comparing right now prior to buying them. No two parts are going to be identical. Look at your two options and see how the two kits are designed. Check for the technical differences we pointed out above and decide which of those affect you the most based on how you’re using and installing the part. No two parts are going to be identical. Look at your two options and see how the two kits are designed. If you need help wading through these questions you can call, live chat, or email the experts at DST directly and we’ll be happy to help guide you through them. So which camp do you fall into? Are you a fanatical customer of one of these brands? What have you used in the past and what was your experience? Do you feel like we missed an obvious difference between these 2 brands? Let us know in the comments. Thank you DST for your honest report. We are continuing to expand our coverage in the North American market as we continue to dedicate more resources to USA. Our talented team of engineers from 3 different continents are constantly analyzing each individual bushing operation, its intended function and how to manipulate its movement to improve handling performance. Although this slows normal development time, we do apologize and are at the same time confident that our elastomer offerings will provide consumers with satisfaction in improved tire wear, alignment settings, durability and ride comfort. As the global leader in elastomer technologies we do utilize various techniques to control deflection such as pin-holing, radius voids, scallop voiding and our patented MAX-C Dual Durometer Reinforced Bushings. We test our bushings in the worlds most brutal environments from motorsport applications, city potholes in metro areas, salted iced roads, to the Australian Outback. We are proud to have shown significant growth in our USA operations in terms of product applications and overall customer satisfaction. Our aim is to enhance vehicle safety, braking and handling performance to better than stock form. I cant believe I forgot to mention the Max-C bushing design you guys have started coming out with! Maybe we can do an in depth article on that technology in the near future. Those bushings are really slick! Corvette and Porsche both have had PTFE based liners in Sway Bar Bushings for decades. The PROTHANE Grease is a waterproof grease and usually needs only one application to remain in the bushing grooves. The Greaseable Bracket style bushing was made to accommodate customer demand rather than for it to become more serviceable. Mechanical Bonding also allows a softer material that results in less NVH to be used by pre-loading the bushing. Rarely is it required to burn a bushing out of a metal shell as most components that came with a shell from the factory have shells if needed in our kits. The kits that have an outer metal sleeve that is then again pressed into a metal arm have had the redundant metal removed. With regards to individual item to complete kits. The stock rubber bushing is built and designed in rubber which has characteristics completely different than polyurethane. You want balance and more importantly safety and the only way to achieve that is to replace all bushings and not only the one or two that are bad at the moment. If some are bad they all are or will be shortly. Although PROTHANE currently does not make sway bars, control arms or strut arms, we do make the OE bushings for these items to over 30 well known manufacturers of these suspension components. Graphite is only mixed in the BLACK colored bushings as there would be streaks of gray in the RED colored units. Hey Rick. Thanks for the notes! I didn’t realize that a PTFE liner had ever been used in suspension bushings previous to Whiteline’s introduction of the PTFE liner in their products. I suppose that makes sense that it would be used in a high performance vehicle like a Corvette or a Porsche! I think I learn something new every single time I talk to you. I have a 2003 ford f350 6.0 with a Rough Country 6″ lift. The front springs have 1.37″ and 1.46″ eyelet and the rear spring eyelets are both 2.0″. Do you offer and Polyurethane bushings that will fit these springs? I talked to the ASE certified mechanic with many, many years of experience with Fords who works in our office and he said we carry some universal pivot bushings that might be just what you’re looking for. If you would like to email him at edwin@suspension.com or call 1-888-406-2330 and dial ext. 114 to get him on the phone he would be happy to find the bushings you need. Thanks for thinking about us for your suspension parts. i remember that whiteline used to be manufactured in the kaesong industrial complex in north korea, where factory workers earn 1/10th what a sth korean factory worker earns. Thats what they told me when i did the north korea tour yesterday anyway. political relations soured in 2016 and the kaesong region is dormant, sth korea cut off the power and the dorasan station is unused. Hey Frank, thanks for providing that insight! I can give you a little bit more to the story. Before Whiteline moved their manufacturing into Vietnam (where it currently resides) there was some political unrest that had caused issues with their manufacturing schedule. They made the decision to move their manufacturing to a different country entirely in order to protect themselves from experiencing that again. I cannot say off the top of my head if it was in North Korea previously, but I believe they mentioned “Korea” several times. If what you’re saying about the area is indeed true now, perhaps it was a very fortunate move for them to have left that area years before 2016. If I’m being honest, their bushings appeared to have more defects before they moved their manufacturing to Vietnam. Small air bubbles on the edges of the bushings weren’t uncommon and the finished appearance of the bushings was not nearly as good as it is today. Since the Vietnam factory has gotten into the full swing of things, I feel like their manufacturing quality has returned to being something they can be proud of.